“A seeker’s guide to the salvation process” God provides the way for us to enjoy life now and for eternity. This way is calld salvation. Dr. Wright guides you through this spiritual journey down into the valley of sin and up to the mountaintop exprience of salvation’s crowning glory! 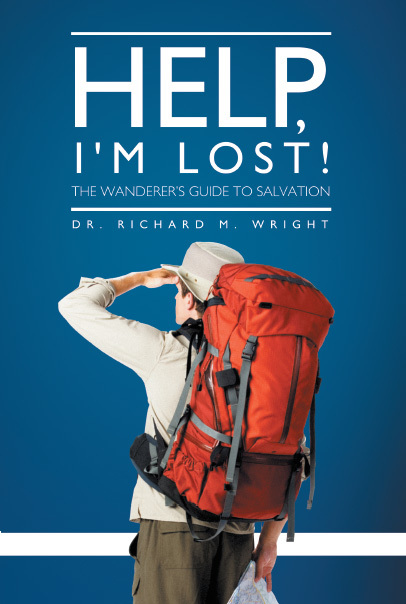 This book serves as a wanderer’s guide to salvation whereby the reasons for salvation and the salvation steps are examined in easy-to-understand terms. “Are you saved?” This question brings out confusion in us. Most of us don’t know if we are saved. Others are not sure what we are to be saved from. Still others don’t know who does the saving and for what. Salvation is a wonderful concept! Many enthusiastic Christians ask this question to begin a conversation about eternal life. Do these Christians fully understand the salvation concept? My premise is that many people, regardless of church membership, do not know about salvation. We have been at the beach, shopping at the local mall, or enjoying a night out on the town when we have been confronted by people asking this question! These people have difficulty answering questions about salvation. When asked this question, we have other questions that well up in us. Why do we need salvation? How do we obtain salvation? How do we know when salvation is complete? What are God’s responsibilities? What are our responsibilities? If we ask these local church evangelists what salvation entails, many would tell us that it is accepting Jesus Christ as Lord and Savior. Is that all there is? If it is, then why do we still have so many questions? Why are people trying to get us to come to their churches? There are many more questions. What about you? Have you been in similar situations? Do you have questions about salvation? We hear confusing theological words used to explain salvation. Some of those terms include sin, the Mosaic law, covenant, Holy Trinity, salvation, prevenient grace, justification, repentance, regeneration, sanctification, perfection, and eschatology. These terms are not fully explained in a simple and understandable way. Do not worry about understanding these terms now. We will cover them as we take this journey together. Salvation is viewed differently depending on the Christian denomination. I hope to avoid this pitfall by relying on what is found in the Bible. The Bible has everything we need to proceed through the salvation process. My prayer is that this process becomes less intimidating as you read this book.